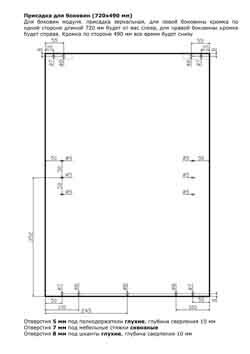 Full package of professionally prepared drawings and specifications for individual processing module T60P1 kitchen (Cupboard 60 cm wide with a shelf). 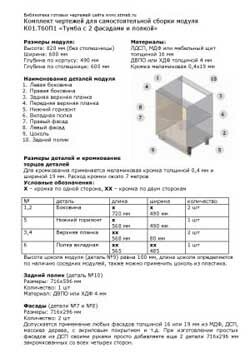 Dimensions of parts, edging, schema additive components and facades, the list of accessories, assembly instructions and advice on installation. No knowledge of graphics software is not required, the package is made by technology downloaded - print - did. 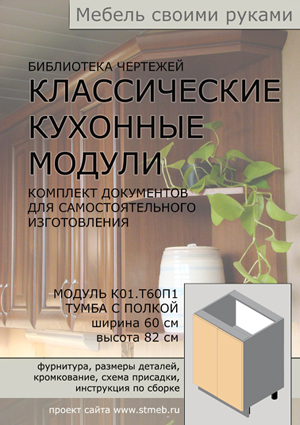 A series of "furniture with his own hands: Drawings classic kitchen units"